This article is included in the recently released National-Anarchism: Theory and Practice, edited by Troy Southgate and available from Black Front Press here. It was the French philosopher Pierre-Joseph Proudhon who first coined the term ‘anarchist’ and produced the economic theory of ‘mutualism’. This original anarchism and mutualism envisaged a society which, contrary to popular notions, was pro private property, patriotist, and advocated a kind of co-operative free marketism through the establishment of a mutual credit bank, which would lend to people at a minimal interest rate to avoid systematic debt creation and usury, etc. Although widely celebrated by the ‘left’ for his slogan ‘property is theft’, this slogan is completely taken out of context and misrepresented; for he also said, ‘property is order’, distinguishing between the property created by labour and the ‘property’ created by state coercion and exploitation. Proudhon described mutualism as a ‘synthesis of communism and property’, as he warned that a society with private property but without equality would lead to statist hierarchical relations. This emphasis on the balance between property and equality would later find another attempted resolution in the thinking of Michael Bakuinn who developed a more collectivist strategy, thus paving the way for anarcho-communism via also the significant contributions of Peter Kropotkin and Errico Malatesta etc. Thus, mutualism came to be associated with ‘individualist’ traditions of anarchism. I would suggest that anarchism after Proudhon took a wrong turn, no doubt because of the problematic engagement with Marxism that it suffered and was influenced by, and that this is reflected in the more collectivist/leftist and communistic leanings of all the anarchist thinkers after Proudhon, until the emergence of the American individualist tradition. Kevin Carson, the contemporary mutualist economic philosopher, considers mutualism to be a form of ‘free market socialism’ but this is a pre-Marxist socialism that operates as a kind of middle ground between classical liberal economics (as Proudhon was deeply influenced by Adam Smith) and the Guild socialism of people like William Morris, i.e. a libertarian conception of full self-ownership and non aggression is balanced by an economic egalitarianism via access to natural and social resources. Also, while anarcho-communists/syndicalists deny private property, mutualism – with its emphasis that workers should own property and have access to capital in a ‘free market’ – bears striking resemblance to the Catholic social theory of ‘distributionism’, which advocates property ownership as a fundamental right and that the means of production should be spread as widely as possible amongst the general population of any given community or nation etc. To this extent, both mutualists and distributionists would agree that ‘capitalism’ is not actually a ‘free market’ (when it is disfigured due to the statist driven intervention of cartels, monopolies, oligarchies and multinationals etc.) and ironically ultimately produces not too many ‘capitalists’ but rather too few. After Proudhon and the degeneration of economic anarchist theory into various schools of left-wing collectivism, we find the next renewal of the original and authentic anarchist impulse to be within what has come to be known as the American Individualist Tradition, as defined by people like Benjamin R. Tucker, Josaiah Warren and Lysander Spooner, etc. It was Benjamin R. Tucker who popularised Proudhonist mutualism before becoming a Stirnerite egotist (2). From 1881 to 1903, he edited the highly influential periodical Liberty. Tucker’s vision of mutualism embraced an anti-monopolist laissez-faire capitalism of small entrepreneurs, small farmers and craftsmen interpreting the ‘free market’ as an anarchist flux of voluntary associations and contracts. While arguing that the antithesis of state monopoly is universal competition, Tucker believed that ultimately the division of labour would result in a co-operative social equilibrium via the abolition of four great monopolies, i.e. the money monopoly, land monopoly, tariff monopoly and lastly the patent monopoly. Thus, a truly ‘freed market’ would fulfil socialistic aspirations while avoiding despotic state socialism, of which he justly accused the social-revolutionary anarchists of being in danger of fulfilling despite their critique of orthodox Marxism etc. 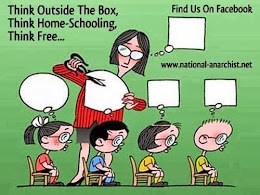 It was the American Individualist school of anarchism that laid one of the principal foundations for what would later emerge in the libertarian anarcho-capitalist school of Murray Rothbard – particularly in regard to Rothbard’s flirtation with the American new left of the 1960s and early ’70s, of which both in feeling threatened by corporatist state monopoly capitalism on the one hand and an authoritarian labour movement on the other searched for an elusive ‘third way’ between these two extremes. 1. An economic system of personal property rights and voluntary exchanges of goods and services. 2. An economic system that features a symbiotic relationship between big business and government. Is it not then surprising that the fifth plank of the communist manifesto reads, ‘Centralization of credit in the hands of the state by means of a national bank with state capital and an exclusive monopoly’, a theme not too dissimilar to the American Federal Reserve! In this sense, ‘capitalism’ can be inconsistent with the concept of a free market because it involves direct interference in the market, and is only made possible when force and fraud in the form of the state impede economic freedom and voluntary exchange. But a truly freed market would be the means whereby workers would be liberated through ending the privileges conferred on economic elites by the state. But it would be a distortion to associate anarcho-capitalism with reactionary conservatism if one considers its roots during the 1960s and ’70s, as Rothbard was clearly instrumental during this period in linking the anti-interventionist anti-authoritarian American ‘old right’ with the so-called ‘new left’ in opposition to the draft and the Vietnam War. A ‘new left’ that also featured the inspirational market anarchist revolutionary and survivalist Karl Hess, and the radical pacifist ‘autarkism’ of Robert Lefevre. Rombard would suffer from many a purge both from the right, the left and from ‘objectivists’ (who Rothbard considered a ‘cult’) before embracing party politics in the formation of the American Libertarian Party. It remained for another to develop a form of ‘left Rothbardianism’ that was more consistently anarchist, anti-parliamentary and voluntarist, arguing the libertarian incompatibility of using statist means to realize anti-statist ends. Rejecting both minarchistic conceptions of government and the ‘partyarchy’ of contesting elections, ‘agorism’ was the realization that the ‘freed market’ can only be arrived at by free market means. Welcome to the ‘autonomous zone’ of counter-economics. 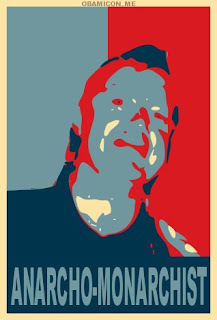 Agorism is a revolutionary development within anarcho-capitalism or market anarchy as developed by Samuel Edward Konkin the Third as an alternative to the more gradualist, reformist and party political orientation of American libertarianism, particularly in the thinking of Murray Rothbard. Central to the thinking of agorism is the belief that you cannot get rid of the state using statist means, so agorism completely rejects any form of parliamentarianism from the outset. It was Samuel Edward Konkin the Third who first originated the term ‘minarchist’ (i.e. minimalist government) and declared that agorism was the only consistent form of libertarianism that delivered an anarchist society as its final destination without being co-opted by statism on the way, as the minarchists would be. Briefly, ‘agorism’ means ‘agora’, the Greek for open market space, and Samuel Edward Konkin the Third devised a revolutionary strategy consistent with the stated goal. He identified four aspects of the economy: ‘white’ represented the legal state-driven economy, ‘black’ the criminal market, although he distinguished this by using the term ‘red’ to designate whether a market was criminal in the sense of using violence such as murder, extortion, theft, beatings and intimidation to achieve its ends – as in the case of gangster operations such as the mafia – or behaved in a manner totally non-coercive and non-violent but in a manner prohibited by the state, which he designated as a genuine black market. So we have ‘white market’ – the system, the ‘red market’ – organized crime (a mirror reflection of the violence inherent in statism), the ‘black market’ defined as all non-violent counter-economic activity outside of the system, and finally the ‘grey market’ was the final economy that Samuel Edward Konkin the Third defined as being one dealing in goods and services not illegal in themselves but obtained and distributed in ways legislated against by the state, the category into which Samuel Edward Konkin the Third believed most so-called ‘white collar crime’ fell. The ideal situation would be to merge the grey and black markets, and replace counter-economically the red and white markets until finally realizing a form of economic successionism with both statist and criminal operations being replaced by libertarian ‘freed’ market institutions, through voluntary action uniting both workers and entrepreneurs into one movement against statism. It is this strategy of uniting workers and entrepreneurs that places agorism in a context that is both anti-statist and transcendent of the Marxist concept of ‘class war’ which, when faced with the contradiction of there being a ‘class’ of ‘capitalists’ at war with the ‘capitalist state’ (or is it fascist mercantile corporate statism?) 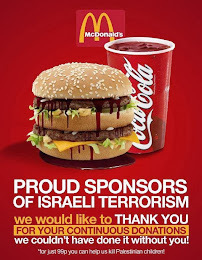 betrays its true colours. It is also interesting to observe how much of market anarchist literature is concerned with the market provision of courts of law, crime and punishment, arbitration and even national defence, and in that it postulates a society that could be implemented now without any significant change in human nature. Contrast this with the almost total naivety of leftist anarchists who somehow appear to believe that given the abolition of all government, armies and police, we would instantly arrive at a totally egalitarian, peaceful, idyllic ‘brotherhood of man’ type society almost overnight with ‘all things in common’, needing no means for any medium of exchange and where no-one will ever act or behave in a manner ‘selfish’ or self-interested. Ironically, this naivety can only betray the repressed subconsciousness of the latent control freak (particularly when ‘human nature’ may not tick all the boxes concerning the intellectual gulag that is political correctness come ‘the purges’, the day after the collectivists have won the ‘revolution’) with a prescriptive and dogmatic template for utopia. Such people hold well-meaning values, but reality will ultimately frustrate and hurt them (hence their projection onto others of what they deny in themselves). Thankfully, the ‘agora’ is a marketplace concerned not only with the voluntary free exchange of goods and services in a materialist sense, but also an open space for the exchange of ideas without censorship. The economic theory of Henry George (1839-1897) is sometimes referred to as Georgism, or Geoism. There has also been an attempt to reconcile his theory with more conservative schools of libertarianism, calling itself Geolibertarianism. George advocated a largely decentralist alternative both to finance capitalism and to communism, in that where Adam Smith would ‘individualize’ rent, wages and interest into either private or corporate bodies, thus laying the foundation stones for classical capitalism and Karl Marx would ‘nationalize’ the rent of land, plus wages and interest into the body of the state, Henry George would ‘socialize’ only the rent of land, calculating this on its productive fertility and site value. This is an idea we find in the Bible, where it emphatically states, ‘The land will not be sold forever, for the land is mine, for ye are Strangers and Sojourners with me’ (Leviticus 25.23). There has been a long, rich history of radical dissent arising from calls that the land be held as common property, most notably Gerrard Winstanley’s Diggers movement, the Levellers in the English Civil War, Thomas Spence who devised a scheme with remarkable similarities to that of Henry George, and to Thomas Paine who advocated not that land should be held in common or collectivised, but rather that under a form of private property the proprietor of land owes to the community a ‘ground rent’. This ground rent would create a fund or resource that could be shared unconditionally both to rich and poor alike, as a kind of universal basic income. It is easy to see here how ‘land value taxation’ fits very neatly into the Social Credit theory of the brilliant radical economist and monetary reformer Clifford Hugh Douglas, who advocated a system whereby the state distributes a basic income as a birthright to every citizen, whether in employment or not, in the form of a national dividend. Thus, the free market libertarianism of Henry George is tempered by this mutual concern. Indeed, he believed his theory of land reform fulfilled Proudhonist aspirations, and this tradition continues today under the title Left-Libertarianism, most notably in the works of political philosopher Hillel Steiner and others who have shown that natural resource-based revenue would provide an alternative to welfare statism in the form of a Citizen’s Income, although some argue that this could become too paternalistic and instead propose a universal Capital Stake to be bestowed on everyone when they become an adult. Geolibertarianism is virtually identical to this, and is thus distinguished from the Rothbardian rejection of Georgism (who believed all natural resources should be completely privatised and owned). 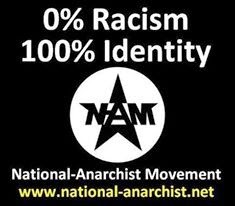 This has further developed into a form of green anarchism called ‘geoanarchism’ – a voluntary form of geolibertarianism where the land rent is collected by private associations rather than the ‘state’, with the right to secede from any given geocommunity if desired. It is important to stress that some geoists use the term ‘land rent’ rather than ‘single tax’ to avoid the negative associations of the word ‘taxation’, which should be reserved to mean an ‘income derived by the State or Sovereign from its citizens or subjects’. However, this is not always related to any specific benefit necessarily seen by the people it is extracted from, so some geoists advocate the term ‘stewardship fee’ rather than ‘land value taxation’ because a ‘fee’ is a payment for receiving an identifiable benefit. Also, stewardship is usually taken to mean ‘the managing of something on behalf of others’. In this sense and in the old Anglo-Saxon meaning, ‘to own was to owe’ – ownership was and is socially inclusive and ‘land ownership’ was seen as being held in trust as a form of stewardship to the community rather than something held exclusively. Anarchist versions of Georgism always stress the voluntary nature of the ‘land rent’, its more radical advocate being the ‘Heathian Anarchism’ of Spencer Heath (1876-1963). Heath envisioned cities or large land areas owned by single private corporations who would own and rent out all land and housing in a particular locality and who would provide all ‘public services’ out of a voluntary paid rent. The rent would be collected by the private corporate landlords rather than by the government (as conventional Georgism allows), and so facilitate a form of ‘anarcho-feudalism’ or ‘proprietary communitarianism’. Heathian anarchism has been the template for many ‘anarcho-capitalist’ styled ‘retreatists’ who have also modelled themselves on the ‘anarcho-objectivist’ community ‘Galts Gulch’ of Ayn Rand’s Atlas Shrugged novel. But such Heathian anarcho-feudalism is to be distinguished from the usual model of competing security agencies in an anarcho-capitalist free market, as in the Heathian model there would be only one provider though voluntarily resourced. Spencer Heath explores these concepts in his book, Citadel, Market and Altar (1957). The anarchic aspect of his vision is that it provides a framework for political, cultural and economic succession, as the ‘landlord’ is perceived to be someone who protects tenants from criminality, taxation and government. Heath also adopts a threefold or Trinitarian model of society where the ‘citadel’ represents the ‘landlord’ or institution that protects society from both the state on one hand, and criminality or chaos on the other. The ‘market’ represents the economy while the ‘altar’ is concerned with culture, spirituality and the arts. Richard Hunt was the editor firstly of the highly influential UK-based Green Anarchist magazine, published in the mid-1980s, before creating the unique and innovative Alternative Green magazine of the 1990s. Hunt devised a theory of revolutionary change, which aimed at the creation of autonomous, self-sufficient armed villages via a regression of technology by proposing what he termed a ‘revolution of the periphery’ (i.e. the Third World should stop sending their crops to the developed world), coupled with a progressive break-up of the political unit (via devolution towards a historical regionalism and economic autarky) until we reach the village (8). But this could not be achieved until taxes were cut, first indirect taxes on the poor until the lifeblood of all government was shed by the abolition of taxation. Hunt was very much ‘leftist’ in orientation, but his support for traditional gender roles and the importance of kinship in keeping the peace and equalizing wealth found him many supporters on the so-called ‘radical right’. His ‘Luddism’ put him on the same page as the tradition of ‘anarcho-primitivism’, although he would have been suspicious of labels and semantics. Movement’ and then the ‘National Revolutionary Faction’, the foundations were laid for the creative emergence of national anarchism. For all his great insights, Richard Hunt’s theory was pessimistic and reductionist, almost idealizing and romanticizing hunter-gatherer societies (a stage beyond the autonomous village? ), suggesting ‘peasants and primitive cultures were the original affluent societies’. We cannot, and perhaps should not, turn the clock back to an alleged idyllic pre-industrial civilization. However, there is a society and culture that already fulfils Hunt’s objectives – albeit, minus the guns. They are called the Amish! Venetians, Sicilians and Romans. In France, Normans, Burgundians, Asatians etc. In Spain, Basques, Catalans etc. Finally in Germany, Bavarians, Hessians, Saxons, Rhinelanders and Brandenburgers. What is significant here, as Kohl reflects, is that these historical regionalist peoples came into existence holistically or organically while the great centralized statist unifiers had to be created by force via bloody conflict, wars and forms of ethnic imperialism. One can find a similar dynamic in the creation of certain ‘nation states’ in both Africa and the Middle East, born of British Colonialism, that have been merely the whim of vested economic interests drawing lines on maps. Kohr advocates the federalization of great powers into ancient state units based on principles of native particularism, devolution and proportional representation. We also find this balance of federalism with devolution in the pan-European Guild Socialism of Serbian philosopher and esotericist Dimitri Mitrinovic (please see Dimitri Mitrinovic – a Biography by Andrew Rigby). We also find this vision of ‘human scale’ and genuine subsidiarity in the writing and activism of the Revd. John Papworth, former editor of the journal Fourth World Review (and author of Village Democracy) and a one-time associate of Richard Hunt’s Alternative Green. Towards a Libertarian Strasserite Synthesis? The ‘radical right’ (11) in general has tended to focus on social credit and distributionism as its economic platform, but has also drawn inspiration from the ‘German Socialism’ of Otto Strasser, whose ideology represented a ‘soft’ National Socialism and ‘left-wing’ opposition to the Nazism of Hitler. This tradition was brutally suppressed by Hitler in a purge that resulted in the death of Otto’s brother Gregor Strasser. Although it is clear that Hitler’s purge of the ‘left’ in his own party was anticipated for many years before, as the consistent anti-capitalist/anti-Marxist stance of the Strasser brothers in advocating a third positionist equilibrium of state feudalism was completely at odds with Hitlerite military industrialization and imperial expansionism (12). In the Strasserite concept, the state was to be the sole owner of the land, which it would lease to German citizens. All were to be free to do what they liked with their own land, but no-one could sub-let state property. Strasser therefore embraced an autarkic vision of German farmers and peasants being economically independent, being able to use the soil for their own agricultural purposes, but of them also being encouraged by the state to hold their plots in trust for future generations. It is here that Strasser’s Catholicism and National Socialism bear striking resemblance to the Biblical concept of the Jubilee. This Strasserite third positional state feudalism found itself increasingly alienated by the machiavellian and totalitarian nature of Nazi Germany, given Hitler’s support of wealthy landowners and industrialists, a concern that Strasser himself had to address by consistently advocating the re-distribution of German soil to end the centuries old monopoly that these rich landowners enjoyed. Given the highly reactionary and pathological ‘racial’ preoccupations of Nazism, Strasser disliked Hitler’s constant scapegoating and ‘Jew baiting’, and had little time for Alfred Rosenberg’s self-serving paganism given Strasser’s devout Catholicism. Hitler accused Strasser of liberalism and Marxism, while Strasser exposed Hitler’s elitist contempt for the common German people and his seeking to raise ‘racial determinism’ above the political and economic. The fact is that Strasser was neither a ‘liberal’ (in the modern sense) or Marxist, but rather a revolutionary conservative who identified genuine ‘national socialism’ (distinguished from both fascism and Nazism) as being a prophetic synthesis of economic socialism and state nationalism as coupled with a cultural religious idealism in opposition to economic capitalism, social individualism and cultural materialism/liberalism. Indeed, Strasser saw capitalism as a consequence of liberalism, and attacked Marxists for attempting to destroy capitalism while preserving liberalism, and fascists for attempting to destroy liberalism while preserving capitalism! Strasser did advocate central planning and a state regulated economy, but one that was designed to put land and property in the hands of people in a more devolved, decentralized and distributive economy than that usually purposed by state socialists or Fabians, etc. He wished to avoid the historical tendency to degenerate into state capitalism and bureaucratic authoritarianism, especially noticeable if one studies both Russian and Chinese communism. In advocating the large-scale resettlement of the countryside within a progressive process of de-urbanization, Strasser attacked the large factories of both the Bolshevik and capitalist systems, which resulted in mass industrial dehumanisation. Strasser also sought to abolish the party political division of liberal democracy by transcending it through a national unity non-partisan principle of ‘authoritarian democracy’, although Strasser’s notion of ‘authoritarian democracy’ was more akin to the classical and traditional Norse/Old English – Viking/Anglo-Saxon ‘witans’ (i.e. regional governing assemblies, lawfully binding popularist direct democracies that inspired early Celtic societies) than to any ‘tyranny of the majority’. This construct was ultimately more akin to a form of Chestertonian agrarian distributionism or co-operative statism than to fascism etc. This is particularly true in regard to ‘fascist corporatism’, which is the merger of big business with a highly centralized state. Regretfully, this Strasserite tradition was to continue after his death to emerge in the more statist driven construct of ‘National Bolshevikism’, as expanded by people like Francis Parker Yockey, Jean Francois Thirlart and the ‘Eurasianism’ of Alexander Dugin, but ultimately in a more pragmatic ‘fascist’ direction, its more fruitful and libertarian strands being preserved in the more ‘catholic’ third positional elements of the early 1980s’ National Front. Out of which came a more libertarian development of Strasserite distributionist third positionism: the tradition of national anarchism. 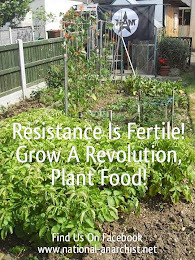 If it is to grow and develop into a mass movement of resistance to the ‘New World Order’, National Anarchism needs to articulate a vision beyond the narrow limitations of an apparent survivalist paradigm which, however pragmatic, well intentioned or prepared given the current global crisis and chaos, needs to offer a consistent, coherent template for what at best, and not at ‘worst case scenario’, a National Anarchist society would look like. We have all had enough dystopias. It is now our mission to dream up ‘anarchy’ all again. Utopia may well mean ‘nowhere’, and it is as unlikely a destination in our lifetimes as it will be in our children’s – but without some kind of ‘vision’, our people will undoubtedly perish. I believe that the revolutionary economic theories I have very briefly touched upon offer some ‘signposts’ on the way to a coherent counter-economic National Anarchism. Despite the semantics and variation, mutualism, distributionalism and georgism are all variations on a single theme, and maybe agorism (13) is the best way of getting there. The question is whether we are consistent anarchists or take the more pragmatic libertarian minarchist route, as many of the aforementioned radical economic theories rely to a greater or lesser extent on some form of central co-ordination, particularly if we would like to merge land reform and geoism with social credit monetary reformism. To successfully implement any of these theories would require some kind of national revolution, hopefully peaceful and gradualist, merged with some form of spirituality and above all compassion (14). Without this, we will be no better and will repeat the same mistakes as reactionary fascists, communists and ‘anarchists’ have always made, and that is of making the end justify the means. If history will teach us anything, if we are not to repeat it, our means must embody the ends to which they are aiming and only in liberty can we marry the two. The problem with utopias is that, however well intentioned (the road to hell being paved by), we are guilty of a kind of social engineering, of laying down blueprints, programmes and of central planning etc. For this reason, the most unhegemonic theory thus considered consistent with anarchist principles and involving no aggression in forcing one’s views, however supposedly enlightened, on others would be Samuel Edward Konkin the Third’s system of agorism. It is actually the least dogmatic and entirely flexible, given it can be adapted to either primitivist pre-industrial or entirely science fiction type ‘futuristic’ technological societies. Also, as has already been stressed, agorism is entirely capable of absorbing and allowing for workers’ co-operatives and anarcho-syndicalism. If we are so inclined, economic successionism would allow racially separatist folk autonomies to emerge. 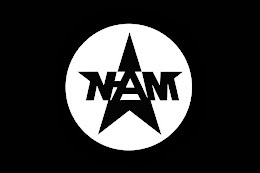 Thus, maybe national anarchism needs to make a clean break with both the contemporary anarchist left and the contemporary radical right, and instead seek alliances and collaborations with libertarian currents, particularly the more paleo-conservative strands, which would be more sympathetic to national anarchism’s respect and concern for the preservation of the family and traditionalism. It is thus my personal conclusion that the various shades of libertarianism briefly explored in this article, whether mutualist, individualist, Georgist or agorist, provide the best road map to anarchy, national or otherwise, and also fulfil many of the best features noted in Guild Socialism, distributionist and social credit theories. 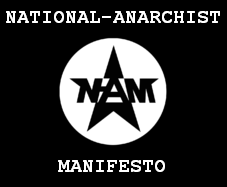 Their synthesis is an urgent task and one worthy of all consideration and effort, as its satisfactory resolution would give national anarchism a breathtaking strategy for change. But until then, Agora, Anarchy, Action! 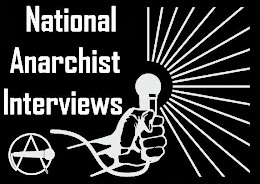 (1) The contemporary agorist activist Brad Spangler has written an excellent article entitled Market Anarchism As Stigmatic Socialism, where he contests the mistake commonly made that mutualism and anarcho-capitalism are opposites, suggesting rather that Rothbardian market anarchism is actually a variety of ‘socialism’ (corporations being always a creation of the state), particularly given market anarchism’s opposition to the monopolization of capital and particularly when given a libertarian class theory of action and revolution as developed by Samuel Edward Konkin the Third, which combines mutualistic elements with Austrian economics and anarchist individualism. Please refer to Markets Not Capitalism – Individualist Anarchism Against Bosses, Inequality, Corporate Power and Structural Poverty, edited by Gary Chartier and Charles W. Johnson. of the violence associated with the ‘propaganda of the dead’ activist nihilism that has so blackened anarchism as a cultural stereotype; a theme that would also emerge in the ‘Circle Proudhon’ of George Sorel. Perhaps the ‘egotism’ of Steiner (not to be confused with individualism) if coupled with corrupted versions of Nietzsche’s ‘will to power’ can paradoxically become the precursor to a form of fascism, when applied to a ‘collective’. (3) State Socialism and Anarchism – How far they Agree and where they Differ. Benjamin R. Tucker, 1888. (4) I am greatly indebted here to a brilliant article by Gary Chartier (2010), entitled Advocates of Free Markets Should Oppose Capitalism. Published in Markets Not Capitalism, Autonomedia, 2010. The importance of this book cannot be overestimated. (5) Please see Francois Tremblay’s excellent introduction to Market Anarchism, But Who Will Build the Roads, Market Anarchy Explained, Xlibris, 2007. (7) Please see Progress and Poverty, Henry George, Henry George Foundation, 1953. (8) Please refer to Richard Hunt’s To End Poverty, The Starvation of the Periphery by the Core. (9) Please refer to Ulrike Heider’s Anarchism, Left, Right and Green, City Lights Books, 1994 (page 91). (10) Most people do not want to live in a Britain of only 15’000 people, nor roam in a pre-industrial anti-technological hunter-gatherer society, yet this is what Hunt appeared to advocate (please see To End Poverty, page 201). The future nonetheless may well turn out to be akin to ‘medieval’ but hopefully it will be a ‘medievalism’ of computers, life support machines and the wheel. Please see The Return of the Primitive by Ayn Rand, which for all the shortcomings of Rand’s objectivism and ‘capitalism’ does offer a critique of ‘environmentalism’, multiculturalism and certain extremes within ecological thinking that is compelling. Also valuable is her observation that both militarism and racism are forms of authoritarian collectivism. (11) I am more than aware that a genuine national anarchism is neither right nor left, but for the state of clarification and economy of words I have sometimes used these terms while realizing their limitations. Please see The Radical Right in Britain, Alan Sykes, Palgrave, 2005. (12) This section is greatly indebted to Troy Southgate’s excellent and highly informative, well researched book, Otto Strasser, The Life and Times of a German Socialist, Blackfront Press, 2010. It is an invaluable resource on the Strasserite tradition. 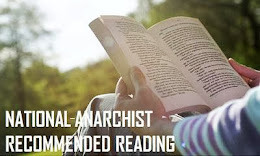 Third and Agorism are also briefly touched upon in Ulrike Heider’s Anarchism, Left, Right and Green, pages 118-123, concerning Samuel Edward Konkin the Third’s association with the ‘Institute for Historical Review’, of which he was listed as a member of the advisory board. Suffice to say that this was motivated by his belief in the libertarian right of free speech, and should not (as, sadly Heider does) suggest any sympathy on the part of Samuel Edward Konkin the Third for ‘far rightism’ etc. (14) Please see the excellent www.distributarian.com which advocates a synthesis of distributionism, agrarianism and libertarianism with a Christian anarchist approach to eastern orthodoxy. Also refer to National Anarchism and the Old Faith by Father Raphael Johnson, Vine and Fig Tree: www.vftonline.org www.christianarchism.com and the Catholic Worker movement. (15) Please refer to Francois Tremblay, But Who will Build the Roads, Market Anarchy Explained, Xlibris, 2007. Studies in Mutualist Political Economy, Booksurge, 2007. Organization Theory – A Libertarian Perspective, Booksurge, 2003. Markets Not Capitalism – individualist anarchism against bosses, inequality, corporate power and structural poverty. Edited by Gary Chartier and Charles W. Johnson, Autonomedia, 2010. The Machinery of Freedom, David E. Friedman, La Salle, Open Court Publishing Company, 1989. For a New Liberty: The Libertarian Manifesto, Murray Rothbard, San Francisco, Fox & Wiles, 1996. The Moon is a Harsh Mistress, Robert A. Heinlein, Berkeley, 1968. The Probability Broach, Neil I. Smith, Del Rey, 1979. Alongside Night, J. Neil Schulman, Pulpless, 1999. An Agorist Primer, Samuel Edward Konkin the Third, Kupubco, 2009. New Libertarian Manifesto and Agorist Class Theory, Samuel Edward Konkin the Third, Wally Conger, Grey Market, 2006. Guerrilla Capitalism – How to Practise Free Enterprise in an Unfree Economy, Adam Cash, Loompanics Unlimited, 1984. Progress and Poverty, Henry George, William M. Hinton, San Francisco, 1879. Citadel, Market and Altar, Spencer Heath, 1957. See also For US, The Living: A Comedy of Customs and Beyond This Horizon by Robert A. Heinlein, Robert Hale, 2005. Otto Strasser, The Life and Times of a German Socialist, Troy Southgate, Blackfront Press, 2010. To End Poverty, The Starvation of the Periphery by the Core, Richard Hunt. Village Democracy, John Papworth, Imprint Academic, 2006. The Breakdown of Nations, Leopold Kohr, Green Books, 2001.